We LOVE using our drone at the weddings we photograph, whether on the Sunshine Coast, Queensland or throughout Australia or even around the world at international destination weddings. We're even using our drone now at engagement shoots, family photo shoots and for commercial photography. Drone photos are special. Drone photos are epic. Drone photos add an epic view to a body of photos, whether it be a wedding or a family photo session. Photos taken with our drone also look amazing when printed on canvas! They are simply spectacular and perfect for hanging on any wall - they're a real conversation piece too. If you like creative, artistic, stunning, epic, facinating photos then our drone service (free with any wedding, engagement or family session) will be perfect for you! Please enjoy our gallery of drone photography below and feel free to enquire about our drone services via our contact page. Above: This fine art drone photo was taken at gorgeous Yabbaloumba Retreat (Kenilworth) in the Sunshine Coast Hinterland. This image won a Fearless Award and Junebug Best of the Best Wedding Photos 2017 - Honorable Mention (Top 100 out of 9000 photos). YAY. Above: We were flown to Fiji to photograph an awesome Sunshine Coast duo get married on the Coral Coast. The morning after their wedding we did an early morning trash the dress session and boy did our drone come in handy! Above: This rad couple held their wedding ceremony in Coolum then we drove down to Point Arkwright/Yaroomba Beach where the drone snapped this fun portrait. Above: Our first drone photo shoot on Fraser Island was at Kingfisher Bay Resort pier and what a memorable wedding shoot it was! Such a wonderful Gold Coast couple. Above: Jenna & Ryan are Sunshine Coast based and loved their epic drone photo shoot in the nearby Beerwah pine forest. We love to use our drone at weddings and engagements and even family shoots! Above: One of our favourite drone wedding portraits was taken just after the elopement ceremony of Laura & Adrian - pure magic for this Brisbane couple! Above: One absolutely gorgeous Sunshine Coast couple floating in Fiji the morning after their epic Coral Coast wedding. Drone + trash the dress at its most stunning. Above: This born and bred Gayndah (Queensland's oldest town) duo chilling out while our drone does it's spectacular thing. Above: When getting married on Fraser Island be sure you choose a wedding photographer who is experienced and creative with a drone. We find this to be an absolute must. Above: A gorgeous Danish/Australian duo could only mean a super simplisticly designed drone photo. Hooray for the sugar cane fields of the Sunshine Coast. Above: The Sunshine Coast, Queensland really has it all - not just beautiful beaches but spectacular rivers and forests too! Above: The stunning Emma just floating around amidst the beauty that is Fiji's Coral Coast. We're so happy this bride and her groom chose to fly us over from Australia (Sunshine Coast). Above: What a beautiful day it was for Maddison and Darcy at Sunset Beach on Fraser Island for their wedding. The ocean was looking glorious for the happy newlyweds which the we were able to capture perfectly with our drone! Above: There were so many romantic vibes on the Kingfisher Bay Resort pier for this rad duo's couple portrait session. It doens't get much better than a relaxing post-wedding drone photography session on Fraser Island. Above: We do love a private property wedding (especially with a drone) and this was no exception. Kia Ora is just half an hour north of Noosa (Sunshine Coast) and has some absolutely stunning hills which these two just happened to have on their property as well as a dam for their cows (as featured in this shot). Above: We do love a beach wedding, whether it be Noosa (Sunshine Coast), Fiji or Fraser Island. Add in a bride and groom on dirt bikes and you have some very unique and fun drone portraits. Above: These two. Total and utter gorgeousness. 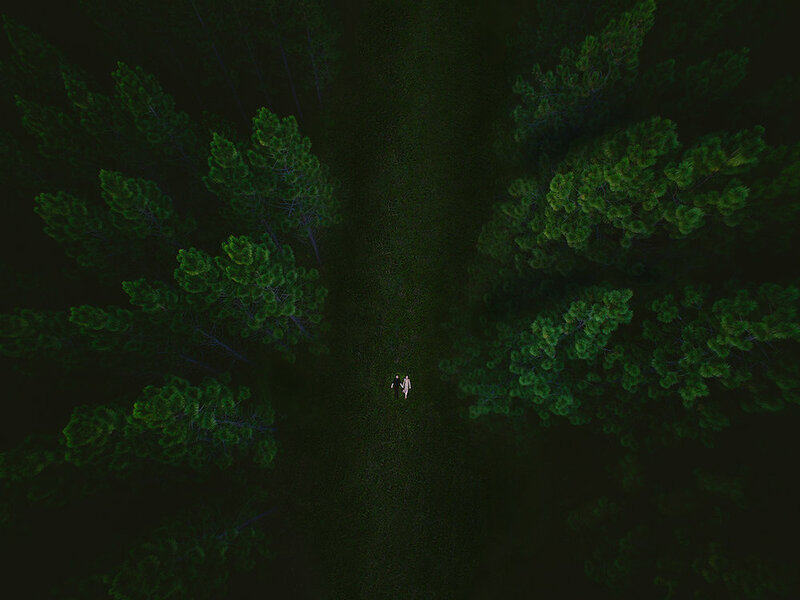 They chose Beerwah forest for their engagement session and we chose to bring our drone. Both very good choices. The Sunshine Coast really does have it all! Above: We do love how we have brides and grooms who not only do we click with but who trust our creativity and artistry with their photos. This is one of our most unique drone portraits to date and one of our best (in our humble opinion). Caloundra Sebel, Sunshine Coast, Queensland, Australia. Above: Drone photos really are so unique and offer a completely new and facinating perspective on a wedding day. We loved this aerial angle taken of a beautiful couple we photographed on Fraser Island. Above: It's a long trek for us but we absolutely love journeying from the Sunshine Coast, through Noosa and up to Fraser Island to photograph weddings. Thankfully this day we managed to get the drone out during a dry spell from the rain on the pier at Kingfisher Bay Resort. Above: Lisa and Dave's engagement shoot was at spectacular Point Cartwright (near Mooloolaba on the Sunshine Coast), which was perfect for some aerial drone shots. Above: A drone and Fraser Island are a match made in heaven when it comes to wedding photography. Kingfisher Bay Resort, Queensland, Australia. Above: Kingfisher Bay Resort you have done it again, as has our trusty drone. The bride and groom's Jag was an awesome addition to this pier shot too. Fraser Island, Queensland, Australia. Above: This rad pair both work for Double J Radio in Sydney - She is a J-Files producer and he is a sound engineer. What a dynamic duo they are. They chose to hold their wedding at their parent's house on The Sunshine Coast just north of Noosa. Great choice! Above: We also love using our drone to take epic engagement photos. This rad pair were photographed in a gorgeous pine tree forest near Beerwah on the Sunshine Coast, Queensland, Australia.